Bars, Grills & Dance Floors: Kaya Coffee House | Grand Central Magazine | Your Campus. Your Story. 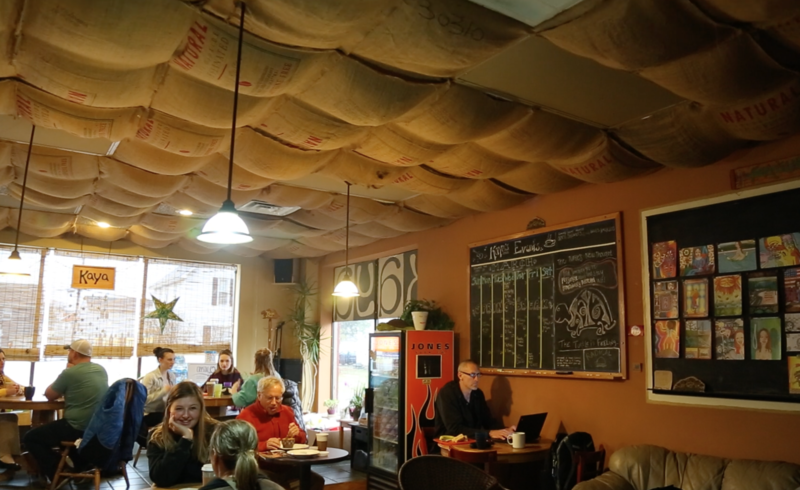 A place with coffee bean bags hanging from the ceilings, art work and quotes scattered across the walls and turtle pottery and trinkets throughout is no ordinary place. But, this place is definitely well-known in Mount Pleasant. 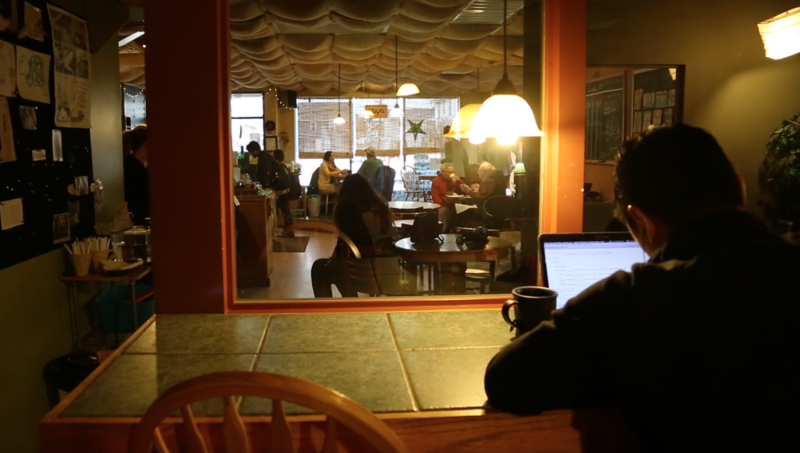 Yes, we’re talking about a Mount Pleasant gem – Kaya Coffee House. Within the past year, there was talk about this café closing its doors, but many still remain thrilled to sit back and unwind with Kaya’s delights. 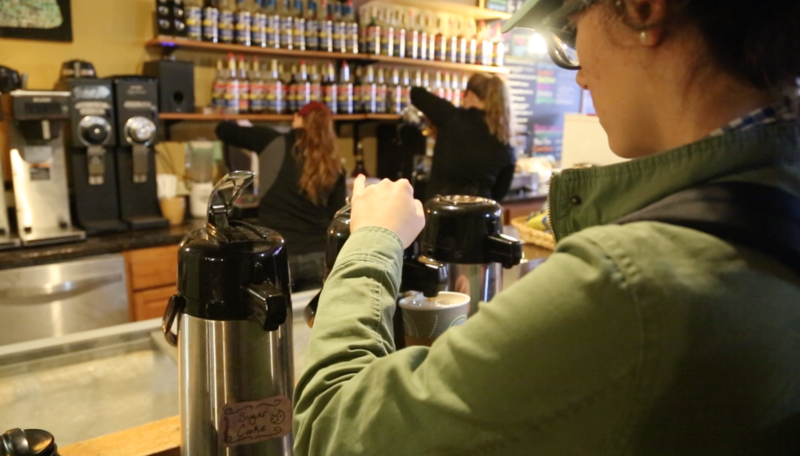 Former Central Michigan University students, Abigail Chambers, and her partner, Emily Miller, took ownership June 1, 2015 keeping the beloved coffee house open. The original owner opened Kaya in 2001 with his daughter, but unfortunately made the choice to sell. Chambers and Miller were really close with the Cotton family, who were close to the original owners of Kaya. “Their daughter graduated from Central this past year, and then it was time for them to move on with Kaya, so we took it over from them,” Chambers said. It has become a common trend for CMU students and faculty or other local residents to come back and visit Kaya. In fact, Kaya is referred to as “home” by many. When asked what seems to draw people back to this place, Chambers said people come back here because of its vibe. As for the customers, this café is nothing short of regulars. The most purchased drinks are the Eye Opener, Café Diavolo and their Drip Coffee. For food selections, the Kaya Club and the Curry are top sellers. They also have a “Drink of the Moment” determined by the staff. Staff members get to play with the different selections behind the counter until they find something they like, and it stays on the menu for a month. 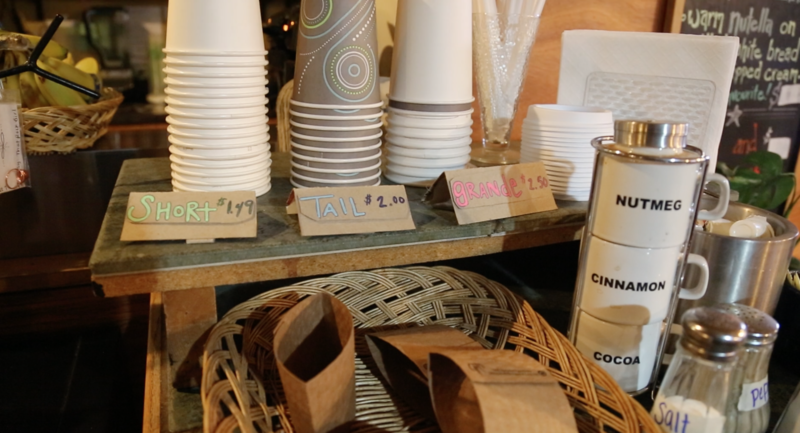 As well, they sell Kaya travel mugs for customers to come back and refill their coffee at a discounted price, all part of the “reduce, reuse, recycle” system that Kaya is proud of. 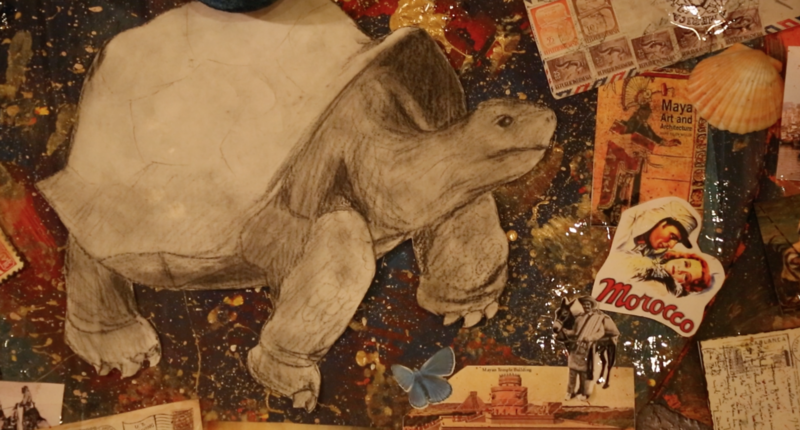 As far as Kaya’s aesthetic, the shop’s walls feature art that changes every two weeks. If that doesn’t resemble an at-home vibe, then their multiple coffee mugs will. Kaya does not have one-set design for coffee mugs, instead they use mugs of all different shapes, sizes, colors and designs. The other major trademark is the coffee bean bags on the ceilings. “That is the trademark of Kaya. That is one thing that will never change,” Chambers said. There is also some major news that the Kaya owners were proud to announce. No current locations have been mentioned yet, but Miller said they have buyers coming to them and that it could go wherever people want it, but with everything kept the same – especially the ceilings. Kaya is the quaint go-to for good food, good drinks and an even better atmosphere. If you need that home away from home and you haven’t visited Kaya Coffee House yet, we highly recommend checking it out. Editors note: This story has been revised since its original publishing due to misspelled product names. Separator image Posted in Drinks, Drinks, Food, Food & Beverage, Restaurants and tagged with Anne Langan, bars, Cala James, Food and Beverage, Grills & Dance Floors, Kaya Coffee House.